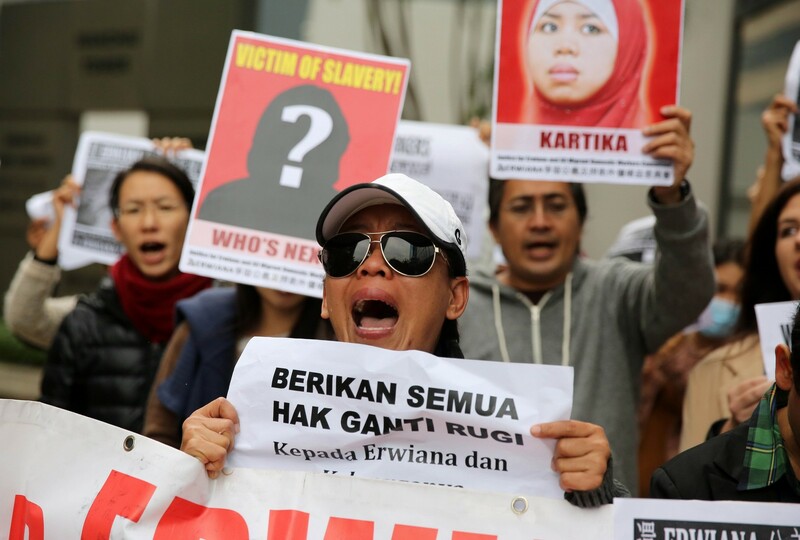 YOGYAKARTA - She was once the face of abused maids in Hong Kong - imprisoned, starved and beaten so badly she lost control of her bodily functions. 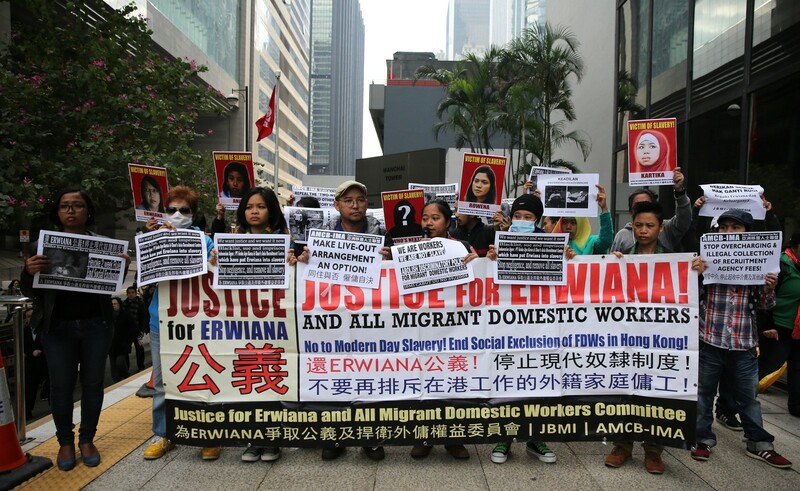 But four years after her horrific ordeal made global headlines, Indonesian Erwiana Sulistyaningsih is a university graduate and fighting for the rights of domestic helpers in the southern Chinese city and beyond. Erwiana completed a degree in economics this month - the culmination of a dream that brought her to Hong Kong in 2013 before her life was turned upside down. "Before I went to Hong Kong, I had been dreaming I could make enough money to study," the 27-year-old told AFP from her home in Indonesia's cultural capital Yogyakarta. "After the incident, I thought I might have to give up on that dream." 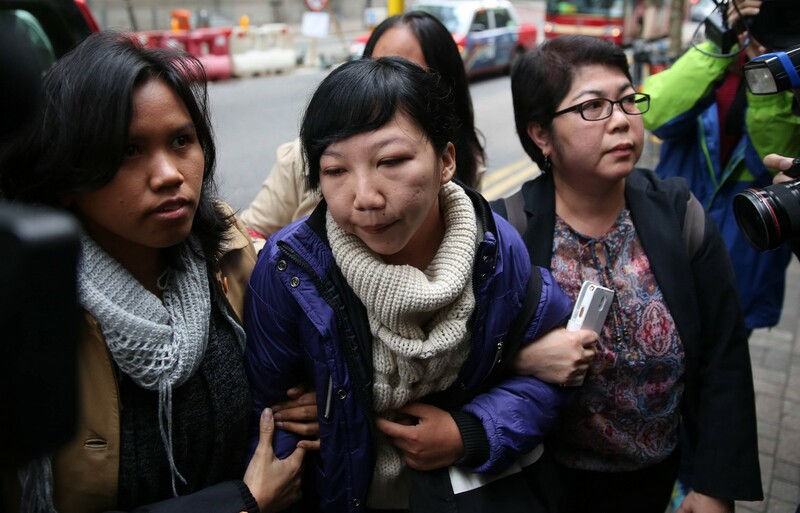 Erwiana's employer Law Wan Tung was jailed after pictures of her extensive injuries went viral online in 2014. 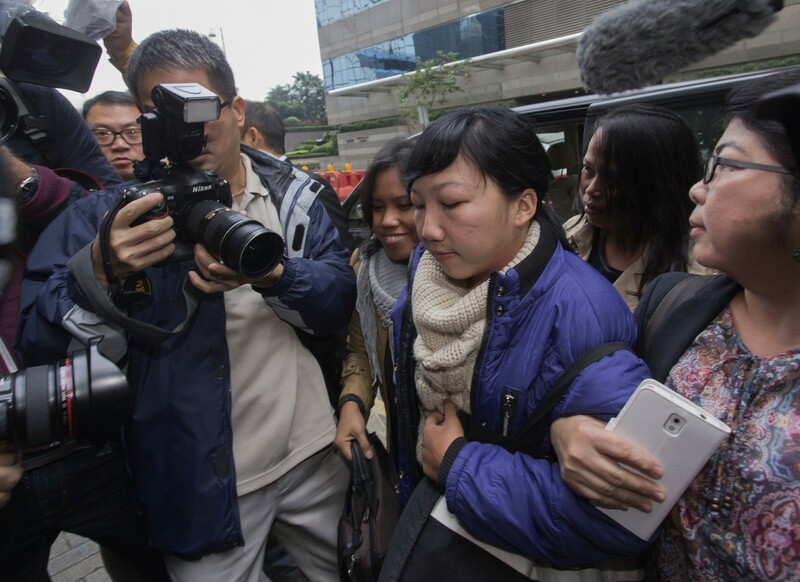 A former Indonesian maid on Monday told a court for the first time how she was starved, beaten and ritually humiliated by her Hong Kong employers in a case that has sparked international outrage. Erwiana Sulistyaningsih described in vivid detail how for months on end she lived on nothing but bread and rice, slept only four hours a day and was regularly punched and beaten by her former employer Law Wan-tung. "I was tortured," the 23-year-old, dressed in a purple jacket and white woollen jumper, calmly told the packed courtroom through a translator. "She often hit me... sometimes she would hit me from behind, sometimes she hit me in the front. I was hit so often sometimes I got a headache...She hit me in my mouth (so) I had difficulty breathing." In one incident, Sulistyaningsih said she was stripped naked, covered with water and made to stand in front of a fan in the bathroom in the middle of winter. 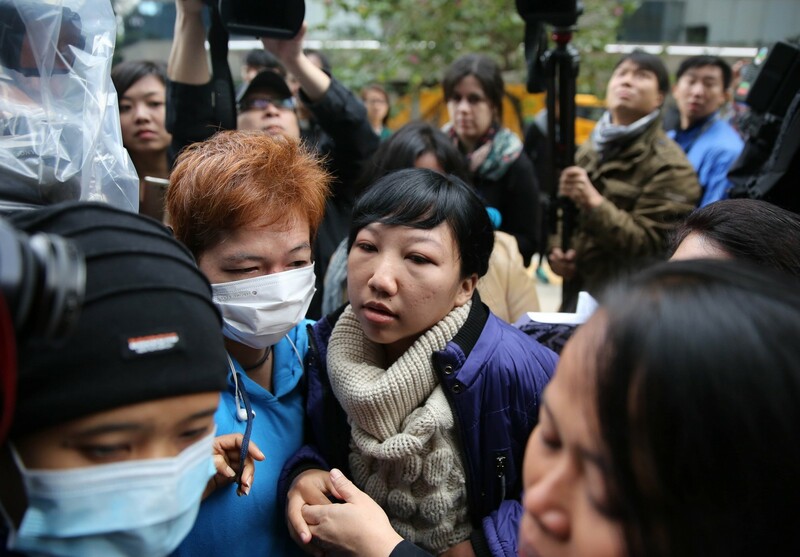 Members of a support group for the Indonesian maid protest outside the courts in Hong Kong on Dec 8. 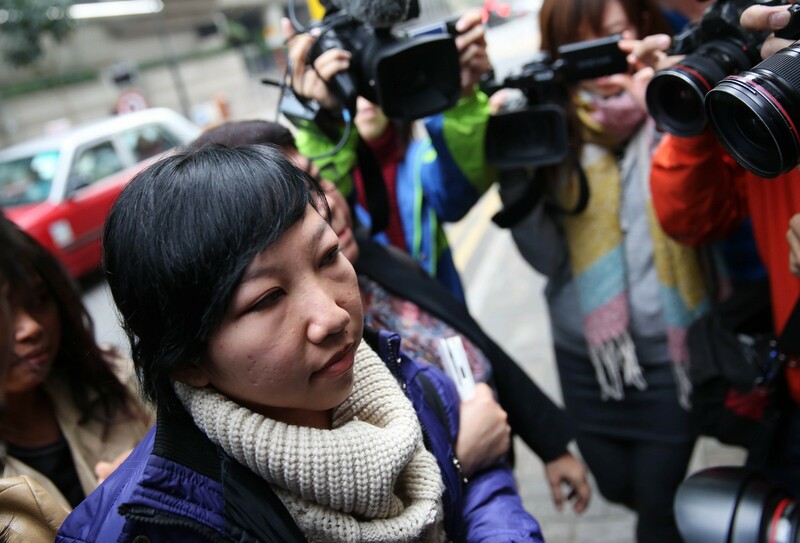 Dressed in a light brown coat, black trousers and thick rimmed glasses, Law Wan-tung kept her head down as her former maid described her alleged abuse, occasionally shooting her a glance in another case of maid abuse which happened earlier this year. 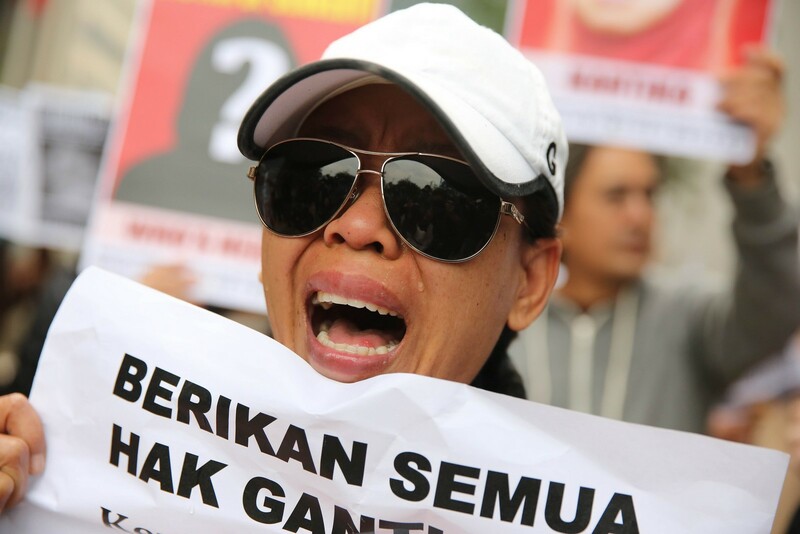 Prosecutors allege the 44-year-old mother-of-two used a mop, vacuum cleaner and a clothes hanger as "weapons" against Sulistyaningsih during eight months of abuse. "She put a vacuum cleaner into my mouth... and twisted it round my lips. It was bleeding and very painful," the former maid said, adding that Law also pushed her off a ladder. Widespread media coverage of the torture Erwiana suffered from had one unexpected benefit - she was offered scholarships to study. "I'm happy but it's bittersweet because even though I graduated from university, there are still many migrant workers who are persecuted and treated badly," she said. She chose economics partly to understand "why so many people in this world have to migrate" for work. "People should be able to live peacefully in their own country without having to work abroad unprotected," she said. 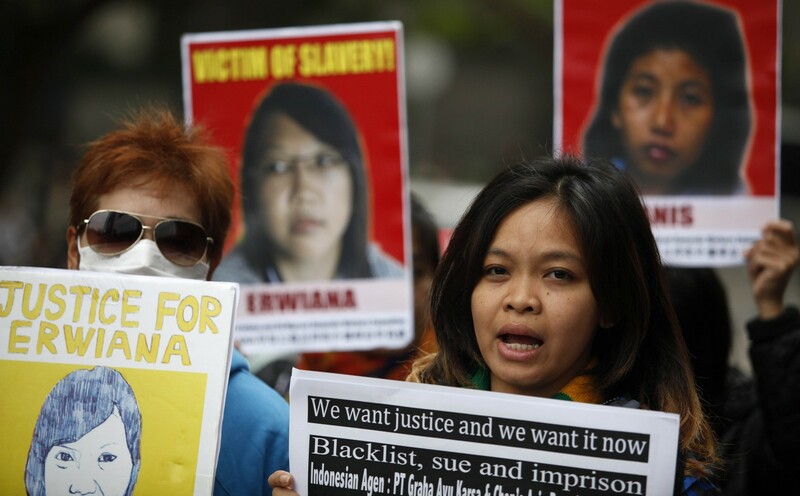 Erwiana plans to take that message to demonstrations outside the annual meetings of the International Monetary Fund and World Bank in Bali next month. 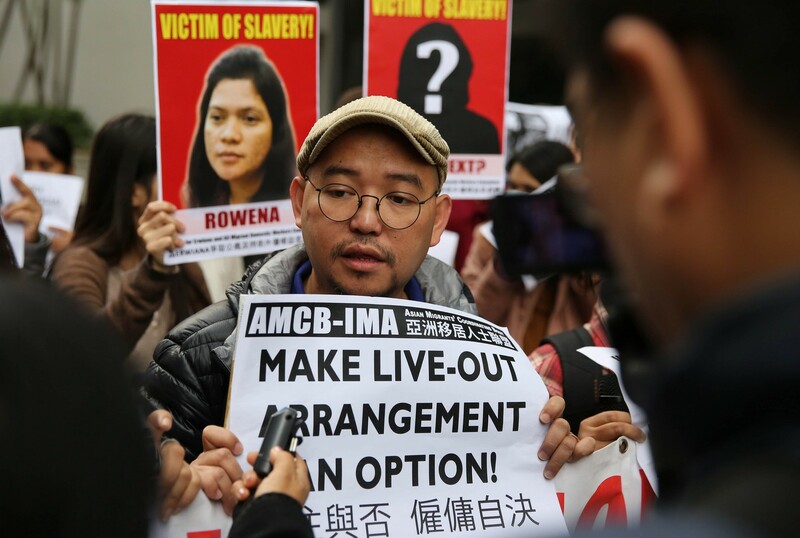 She now works on behalf of migrant workers, including pushing for the release of former Filipina maid Mary Jane Veloso who is on death row in Indonesia for drug smuggling. 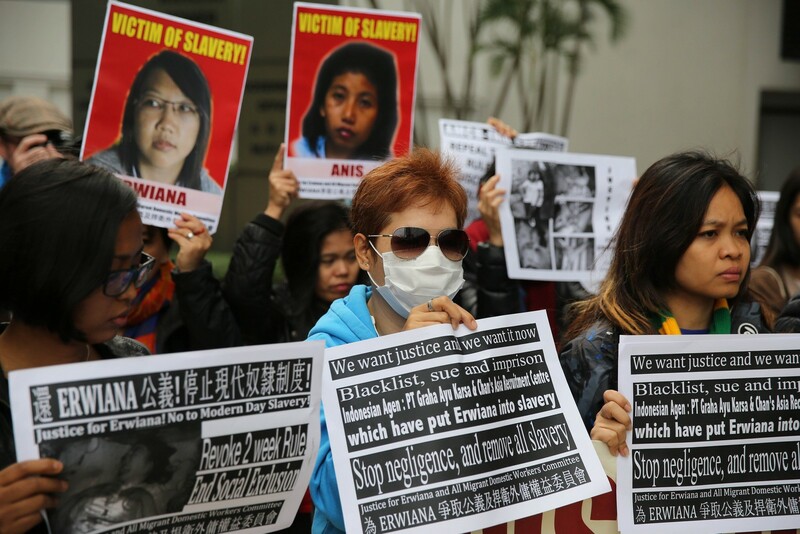 Most domestic workers in Hong Kong are from poor communities in Indonesia and the Philippines and are vulnerable to abuse by employers and employment agencies. Workers from both countries have also suffered injury - or worse - in the Middle East and other parts of the world. In February, the death of a Filipina maid in Kuwait, whose body was found this year stuffed in a freezer, sparked outrage in the Philippines. Also this year, Indonesian domestic helper Adelina Sau died in hospital after being rescued from her employer's house in Malaysia's Penang state, with wounds covering her body. Her boss was charged with murder. It is these stories that prompted Erwiana to fight for workers' rights, and never give up on herself even when she doubted her chances. "I never imagined I'd be here - I almost gave up," she said. "I was so sick, I was a failed migrant worker and my injuries were all over the media. "But because my family and fellow migrant worker friends gave me strength, I finally had the spirit to rise again."